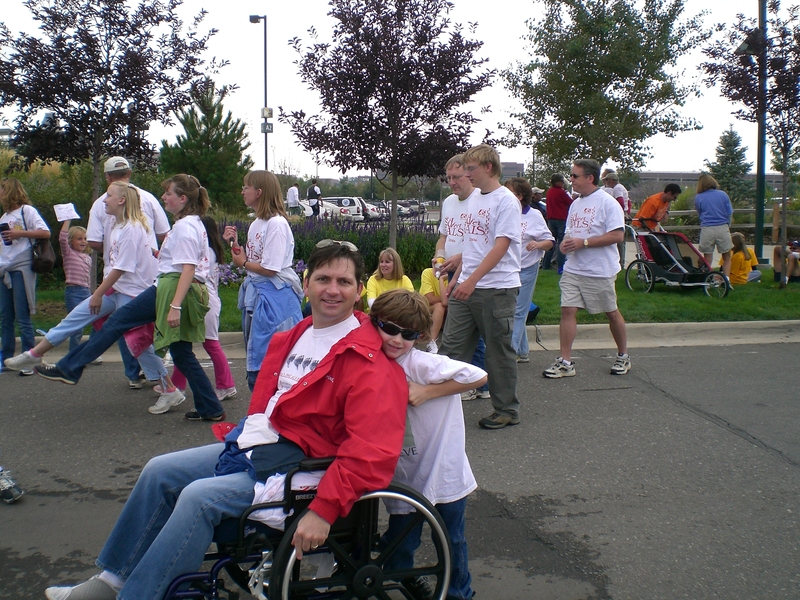 Steven Bishop was only 35 years old when he was diagnosed with ALS in February 2001. 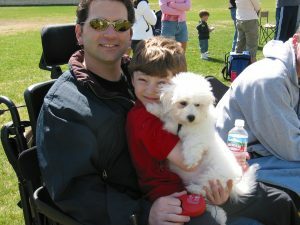 Steven is now into his 17th year living with, not dying from, ALS. At the time of his diagnosis, Steven was happily living with his wife Jennifer and their almost three-year-old son. They had their whole lives ahead of them. 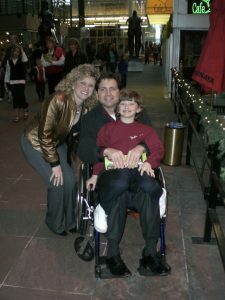 Like anyone given an ALS diagnosis, the couple was devastated and Jennifer insisted on getting a second opinion. A few weeks later, a second neurologist at a different hospital confirmed the diagnosis. 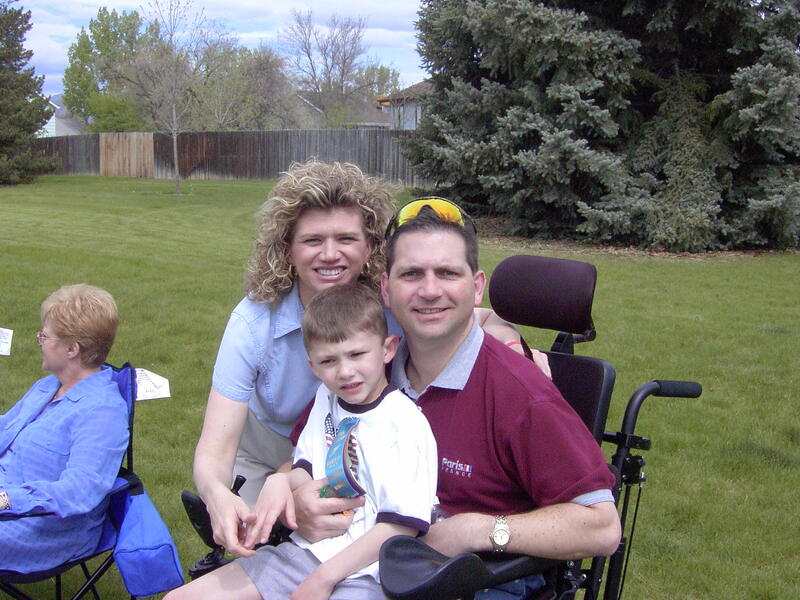 One of the first things Steven and Jennifer did was try to find other ALS families. Through their local MDA (Muscular Dystrophy Association) they were able to find other families and start a support group, as well as get valuable information about ALS, what to expect, and how to get equipment. At least they did not feel totally alone. his diagnosis at the recommendation of his doctors. He knew that stress was a contributing factor to disease. They also decided to move into a smaller house on one level, both for wheelchair accessibility and to keep expenses down. 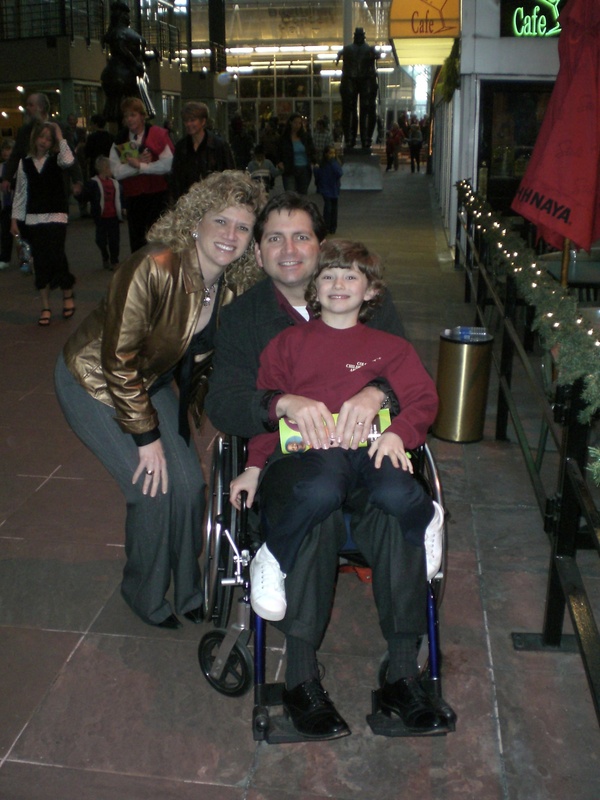 From the beginning, Steven took anti-oxidants C, E, and CoQ10 on the advice of his neurologist. He and his wife already ate a healthy diet and did their best to avoid junk food, and artificial flavors, colors and sweeteners in their home anyway, so they had a head start on a healthy diet. 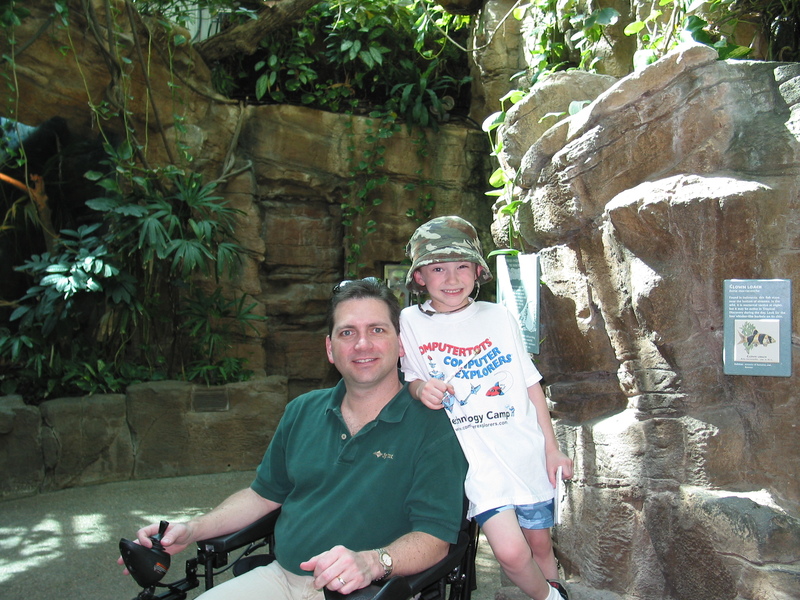 As many people do after receiving an ALS diagnosis, Steven went into a depression. Jennifer felt all the burden on her, with a three year old and the additional physical and economic responsibilities. She told her husband that they “needed him” to be an active part of their lives. Fortunately Steven was able to pull out of his depression and decided whether he had 18 months left or 5 years, he was going to live the very best life he could. He wanted his son to remember a father who was positive and happy, not one who was grumpy and complaining. He made up his mind to be a good role model. He and Jennifer decided to focus on the quality of life each day, since they did not know how many days they had left together as a family. The other thing the couple decided was that they were going to “give back” to the ALS community. If there was no hope for ALS now, at least they could work so there would be hope for others with ALS in the future. They volunteered to help with fundraising for the MDA in their local area. This had an added bonus: focusing on others took their minds off their own problems. One evening they were asked to attend an MDA fundraising “lock-up” where volunteers were “jailed” at a local restaurant until they raised a certain amount of money. Steven and Jennifer went around the room telling the volunteers how the MDA had helped them. It happened that the local television station was at the fundraiser that night and interviewed the couple. 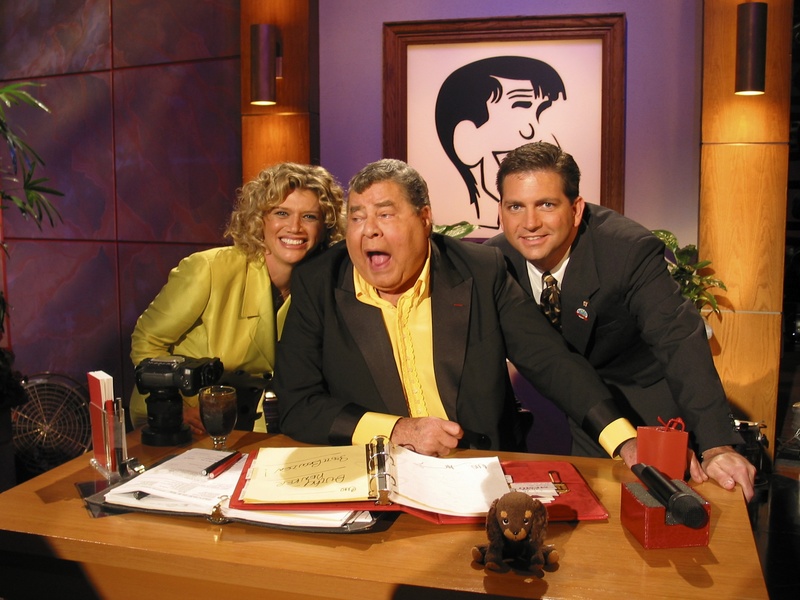 This eventually led them, months later, to be invited to the annual national Jerry Lewis MDA Telethon in Atlanta, where they told their story on national television. Jerry Lewis was so impressed he asked them for their phone number. To their surprise, Jerry Lewis phoned them soon after, and then every week for the next year for a mental pep-talk. Jerry explained to them that in his 40 years with the MDA that he observed that the people who had the most positive attitudes had far better outcomes with their disease. These phone calls were invaluable. Both Steven and Jennifer made it a point to be more positive during the week so they would be able report back to Jerry. 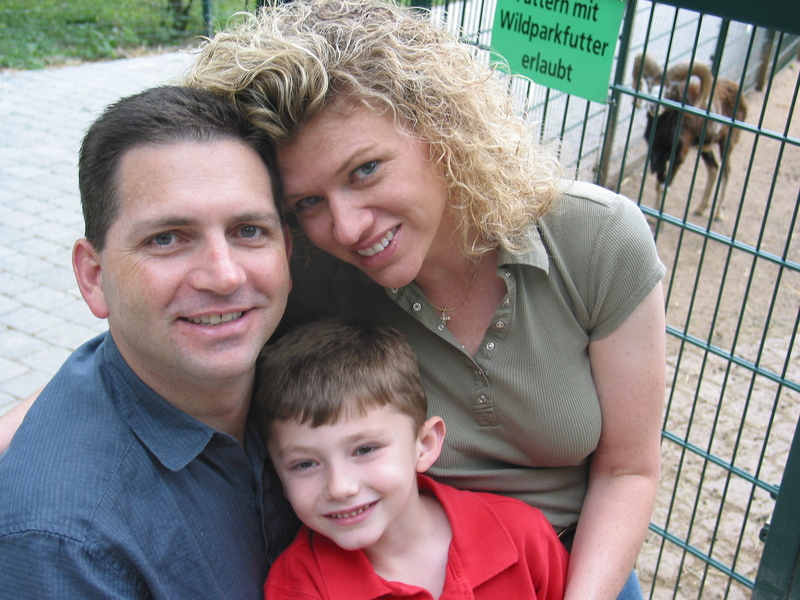 It is impossible to prove, but both Steven and Jennifer feel that focusing on others, maintaining a positive mental attitude, and deciding to make the very best of whatever time Steven had left, slowed his disease progression along with other therapies they tried. In addition to taking anti-oxidants, Steven experimented with various therapies that might help slow his ALS symptoms, including chriropractic, massage and “dry needling”. Even if it was only relief of muscle cramping and twitching, he felt some benefit from these. 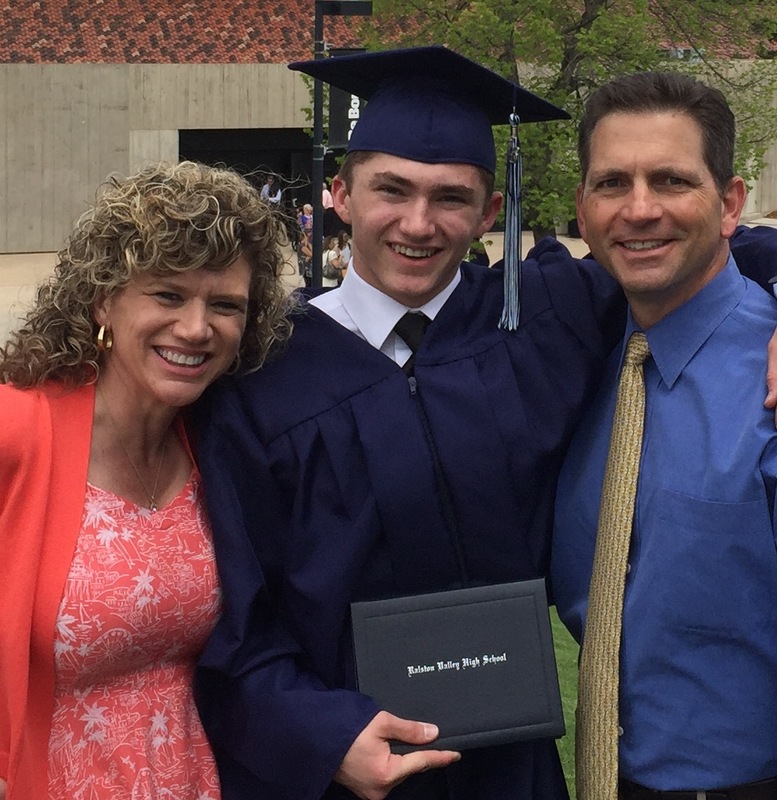 Since his progress was so slow, they thought Steven might be misdiagnosed, but a third and then eventually a fourth neurologist confirmed his ALS diagnosis. Despite all of the positive mental attitude, the anti-oxidants and other therapies, Steven continued to decline physically. He could stand and walk for only short periods and needed a wheelchair for anything requiring long periods of walking or standing, like the zoo, museum, park and his son’s field days. He could no longer do stairs, and he was tired much of the time. He continued to exercise as much as he was physically able to. 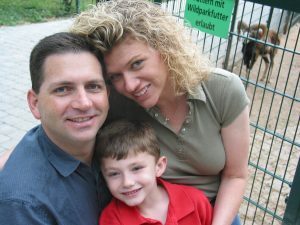 Still, Steven and Jennifer kept their eyes open for things that might help and in 2009, through a friend, they found a nutritional supplement that is a Nrf2 activator. They did not think it would necessarily reverse ALS, but they did think that it might help Steven stay healthier overall by allowing the body to heal itself. The science was strong and Steven decided to take the new supplement instead of the C, E, and CoQ10 he had been taking. Jennifer also started on the supplement and felt health benefits soon after. Steven did not notice any improvement intially but continued to take it because he knew the science and was convinced it would help him stay healthier. In 2010, over a year after he started taking the Nrf2 activator, Steven had a good day, when he felt a little less tired, and felt a little stronger. Then, a few weeks later he had another good day. Soon he was having several good days in a row. Several months later his doctor commented that he might be getting stronger in some areas, and even stated “I believe you will be around to see your son get married and have kids.” To Steven and Jennifer, this seemed like a miracle! It was a memorable day. Over the next months and years, Steven slowly regained strength. Eventually he no longer needed his wheelchairs nor his walker. They called the ALS Association to give back the equipment. Steven remembers the freedom he felt the day the ALS Association picked up the electric wheelchair that had been donated to them so someone else could use it. Today, in 2017, sixteen years after diagnsosis, Steven still has ALS. He still deals with fine motor skill issues, he gets fatigued if he does too much. He can do some yard work but if he overdoes it he pays for it the next day. Steven still cannot return to work because anything stressful causes his symptoms to worsen. He still uses a bi-pap for ALS-induced sleep apnea and baclofen for muscle tension when needed. 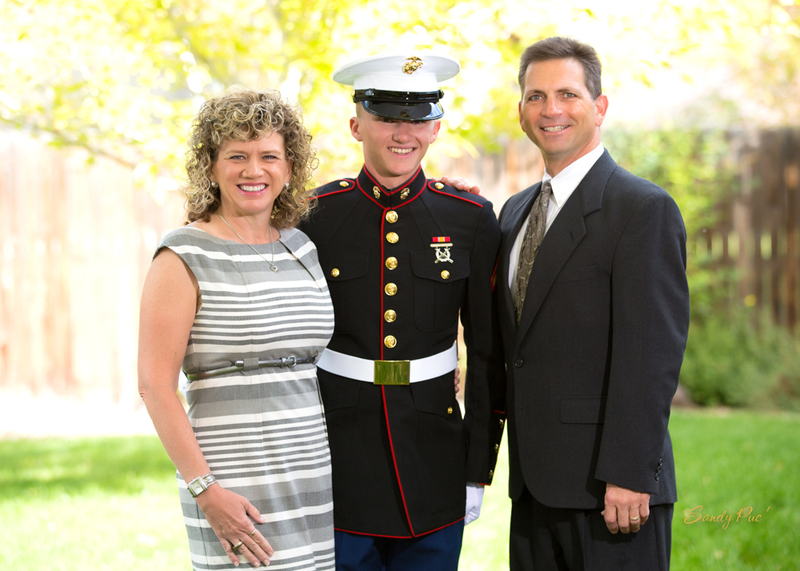 Steven and Jennifer are grateful for Steven’s dramatic recovery. He can do stairs again, and drive again and continues to slowly improve physically. Steven and Jennifer still give their time to others diagnosed with ALS. They also share the Nrf2-activating supplement, because they feel it was part of the reason Steven has been able to successfully reverse ALS. To find out more about Steven in his own words, visit https://alsliving.wordpress.com/. How Do I Heal ALS? EMF Radiation: Does it Accelerate ALS? Importance of Diet in ALS. OUR FUNDRAISING CAMPAIGN IS UNDER WAY! YOU STILL HAVE TIME TO CONTRIBUTE TO OUR GROUNDBREAKING ALS FILM AND BOOK! Donations are added manually... so please be patient as we update the totals. Thank you!